Vehicle and train dynamics involves the interaction at the wheel-rail interface, performance of individual bogies and wheelsets, and the in-train forces that develop in a moving train over any type of track. WRC can apply advanced simulation techniques such as VAMPIRE or SIMPACK to study track and vehicle interaction, and models such as TOS and TOES to study longitudinal train dynamics. Vehicle dynamics models are commonly used to study wheel-rail interaction and optimization of asset life, bogie and vehicle design, track design and geometry standards, and effectiveness of rail lubrication. 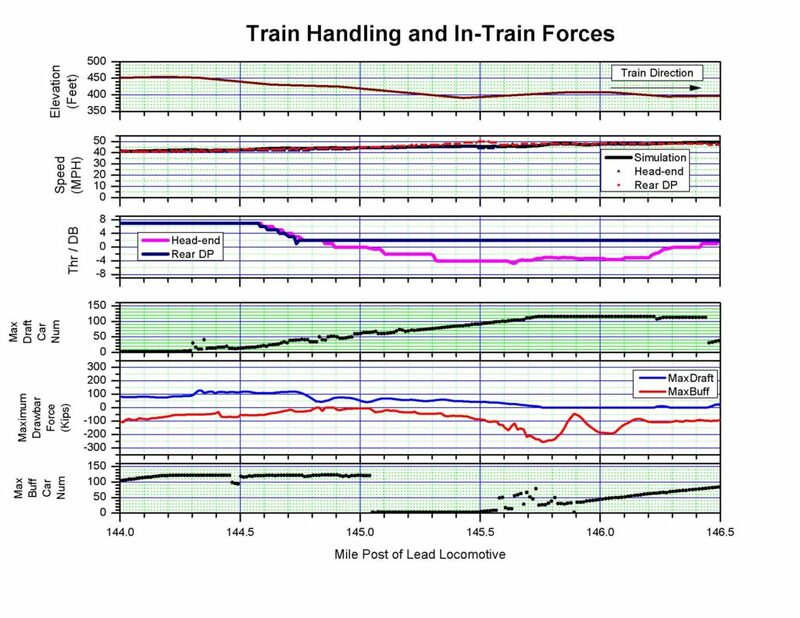 Longitudinal train dynamic models are used to assess train stopping distances for signal spacing, train make up restrictions, locomotive performance, and train fuel consumption. WRC also has capabilities to perform testing and instrumentation both on-board and wayside to verify and validate simulation findings.